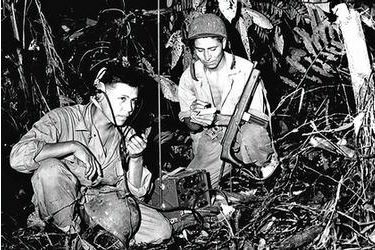 Congress is bestowing the Congressional Gold Medal, its highest civilian honor, on American Indians who used their native language to outwit enemies and protect American battlefield secrets during World Wars I and II. Dozens of members of Congress, the military and others gathered in the Capitol’s Emancipation Hall on Wednesday to honor 33 tribes for the wartime contributions of so-called code talkers. House Speaker John Boehner says members of tribes from across the country served bravely during the world wars, using "the simplest weapon – their language." He says thousands of lives were saved because of their bravery. Congress previously awarded the Gold Medal to code talkers in 2008. Wednesday’s ceremony was for more than two dozen tribes not included in that initial honor.